This helmet shell is made of high-quality ABS and PP material, it is lightweight and resistance to falling. It is designed for motorcycle riders, with good air permeability. This helmet shell is made of high-quality ABS material. Lightweight and portable, suitable for spring and summer. 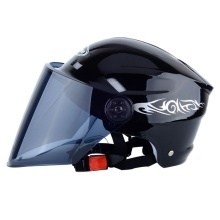 It is designed for motorcycle riders, with good air permeability. Six colors for your choice.